Book your 45-60 Minute Reiki Session with me today! Thank you for booking your 30 minute reiki session with me! I currently travel to my customers within a 20-mile radius. If you book a session with me and you live over 20 miles, a small extra fee will be charge before I travel to you. I also do reiki inside my home office space if you choose to travel to me. Do I have to continue to see my doctor because I am doing reiki? Yes! Do not stop seeing your primary care doctors or any doctor you have to see because you are doing reiki. Please note that Reiki practitioners do not diagnose conditions, nor do they prescribe or perform medical treatment, prescribe substances, nor interfere with the treatment of a licensed medical professional. It is for you to understand that Reiki does not take the place of any medical care that you are receiving. It is recommended that you continue to see a licensed physician or licensed health care professional for any physical or psychological ailment that you may have. You should be well aware that Reiki can only complement any medical or psychological care that you may be receiving. 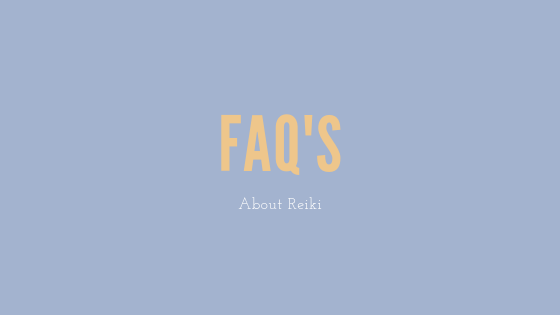 Will I see results right away when receiving reiki? Multiple sessions may be required in order to facilitate the level of relaxation needed by the body to heal itself energetically. Listed below are 3 reasons that reiki may not work. 1. Impatience – Remember, reiki does not solve any alignments in one session. True healing takes time. 2. Wrong Intentions – Remember, reiki always works for your highest good. 3. Holding on to things/people that no longer serve you – Remember, reiki may simply not work for you if you are operating out of fear or not ready to let go of what no longer serves you. Set positive intentions and do further research on reiki and how energy healing works. For any additional questions that are not listed above, please email your questions to info@shawannadenise.comor fill our contact form.